My dear brother got to be the recipient of this experiment in building a whimsical cake. 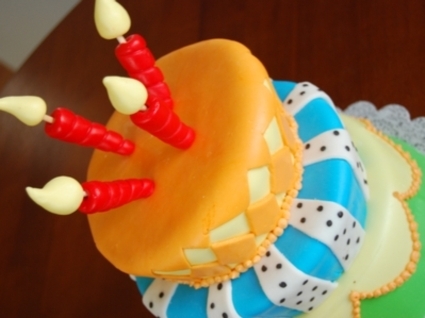 This cake is finished in fondant and buttercream piping. I started with standard round cakes and trimmed the sides to give each layer a unique shape. The over-sized candles made a perfect topper. 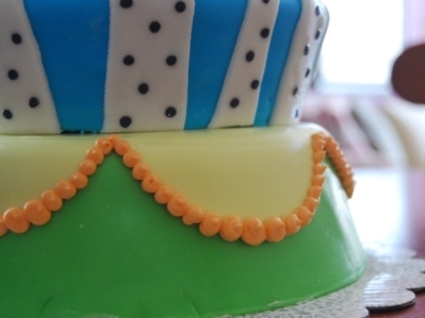 Here you can see some of the buttercream finish work piped in orange around the bottom layer of the cake.